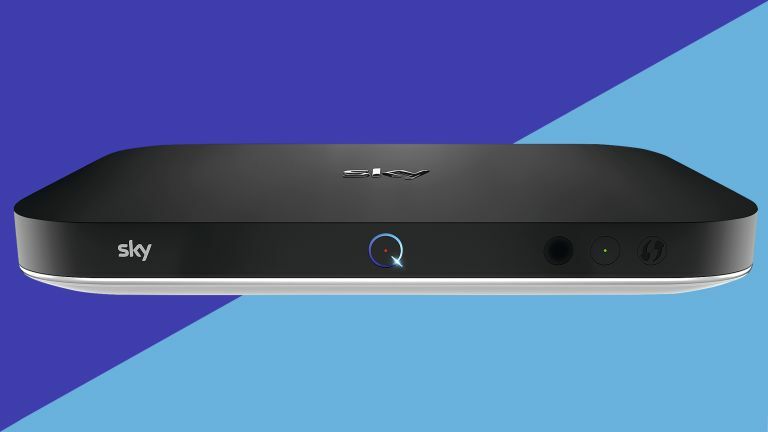 Sky is set to bring some advanced new voice control capabilities to its flagship Sky Q system later this year, it has revealed. The UK broadcaster, which was acquired by US media firm Comcast for an eye-watering £30 billion late last year, has hinted at some of the planned changes following the change in management. Sky CEO Jeremy Darroch has spoken about his fondness for the AI-powered voice control platform used in Comcast's flagship Xfinity X1 hardware and how he would like to incorporate some of the underlying technology into Sky Q's offering. Speaking during a recent Comcast investor meeting, Sky CEO Jeremy Darroch talked about some of the changes that could take place following the acquisition by Comcast. Darroch said he “really likes” the “voice platform” built-in to the Comcast Xfinity X1 box, and would like to see the system integrated to Sky in the future. Sky first introduced voice control feature to its flagship satellite box back in March 2017. Since then, the company has incrementally updated the system with new commands to expand the functionality. As it stands, viewers with the Sky Q touch remote or Sky Q remote with Voice Control can search for the name of a film or television show, actors, directors, year of release, or a prominent quote from the movie. For example, shouting "Show Me The Money!" into your remote will summon the listing for 1996's Jerry Maguire. However, despite the ongoing improvements to voice control, there are a number of features available with the Xfinity X1 box that are still not possible with Sky Q. While both services allow viewers to search for shows, change channels, and navigate around the user interface using their voice, Comcast allows Xfinity X1 owners to also control recording functionality – something that's not possible with Sky Q. Those who use an Xfinity X1 can say "Record American Idol" to set a new recording for that show, whereas Sky Q owners would have to search for the show using their voice then highlight the next showing and hit the "R" button on the remote to set a series record. It might seem like a small change, but for those who rely on voice commands as an accessibility feature – it's a crucial difference. Comcast, which used Artificial Intelligence (AI) to train its voice command system, also allows viewers to ask their set-top box questions about what is playing on the screen – something way beyond the capabilities of Sky Q. For example, Xfinity X1 viewers can ask "When is the next Seahawks game?" to search the listings for the next match. Viewers need not know the correct channel number or name – two requirements for any voice command to change channel on Sky Q – to switch over to what they want to watch. Voice commands like "turn on the New England Patriots game" tells the Xfinity X1 to search its channel guide for the correct match, then switch over. Finally, Comcast also allows viewers to use a built-in Shazam-esque function to identify the song playing in the background of a scene in a show, movie or concert by asking" What song is this? ", or "What song is playing?". Amazon offers the same feature with its Prime Video service, which shows any music featured in the current scene when the viewer pressed the pause button. Sky CEO Jeremy Darroch has not specified exactly what features from the current Comcast feature-set will likely make their way across the pond. It's also possible that Sky Q and Xfinity X1 will get new voice command features at the same time going forward, thanks to shared resources behind the scenes. It would be awesome to see new voice command features hit Sky Q boxes in the coming year, including the ability to search for shows and sport fixtures without first having to revise exactly which channels will broadcast specific games. Last year, Sky confirmed it was developing a new "hands free" way of interacting with its Sky Q box. Asked about the relationship between Comcast and Sky during the investors meeting, CEO Jeremy Darroch said: “We’re only 15 weeks in, but encouragingly, I think we’re starting to see some really important, tangible evidence of working together as part of the broader group." During the same shareholders meeting, Comcast Senior Executive Vice President Stephen B. Burke has hinted at plans to share more of its own in-house content between the brands owned by the company, including Sky, USA Network, SyFy, NBC Universal, and DreamWorks Animation, to name a few. The move could see more shows air exclusively on Sky or Now TV. That's likely to keep Sky subscribers coming back each month, especially with some of the biggest exclusive shows – like Game Of Thrones – set to end this year.